← Kids Cooking Today – No More Open-a-Soup-Can-and-Add-Water! I was recently fortunate to come across yet another book by Linda West Eckhardt and Diana Collingwood Butts, authors of “Bread in Half the Time” and “Desserts in Half the Time”. The recent acquisition is “Rustic European Breads from Your Bread Machine”. There is a resident bread machine in my house, which is a circa 1999 model, so it might be like making bread in the dark ages, assuming technology is constantly evolving. It sits on a high shelf in my pantry and probably twice a year, my husband gets it down for me and I decide to try again. Despite the number of books I have in my collection, specifically for bread machine baking, I have never been particularly enamored with any of the results, despite trying numerous recipes. I did, however, feel that the dough cycle was more useful and decided to try a recipe from Eckhardt and Butts’ “Rustic European Breads from Your Bread Machine”. 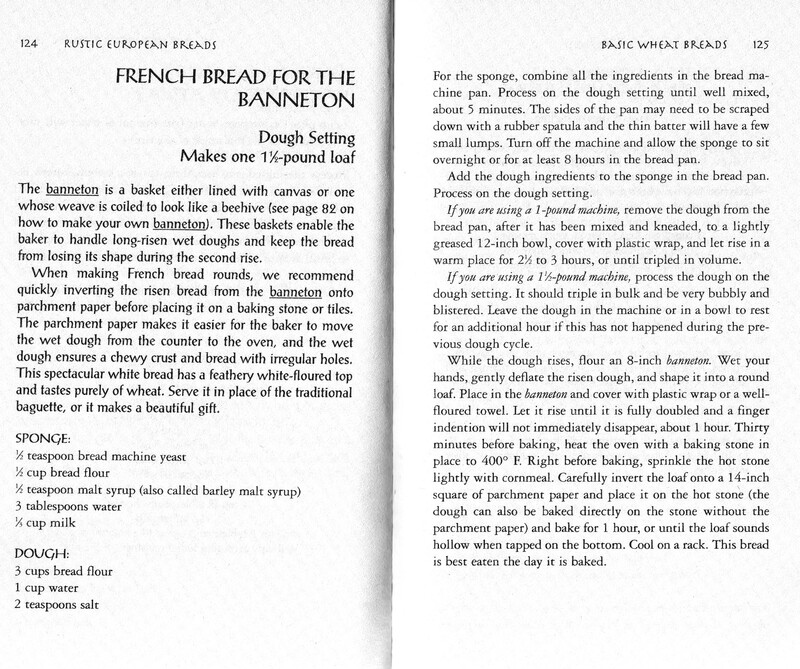 After reading through many of the recipes, I settled on “French Bread for the Banneton”. I was familiar with the concept of the banneton, but I didn’t have anything really suitable. 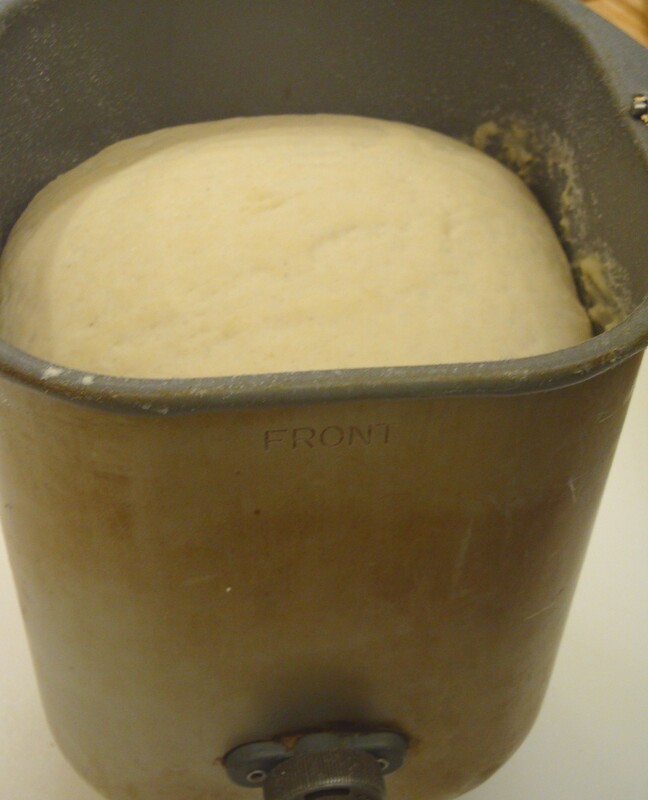 A banneton is a basket used to provide structure for proofing breads that use starters, such as sourdough or, in this case, a sponge, which is fairly wet. 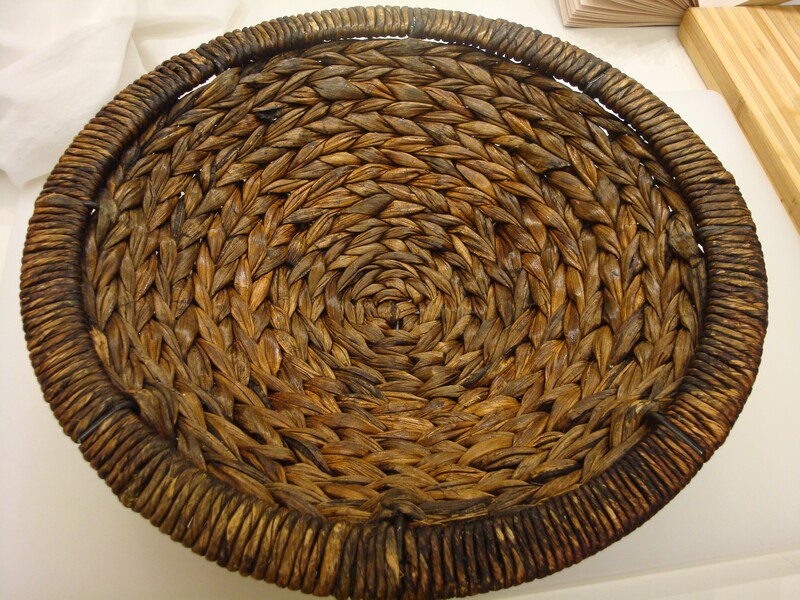 The baskets are typically made of wicker, but just about any sturdy, rounded basket would suffice. 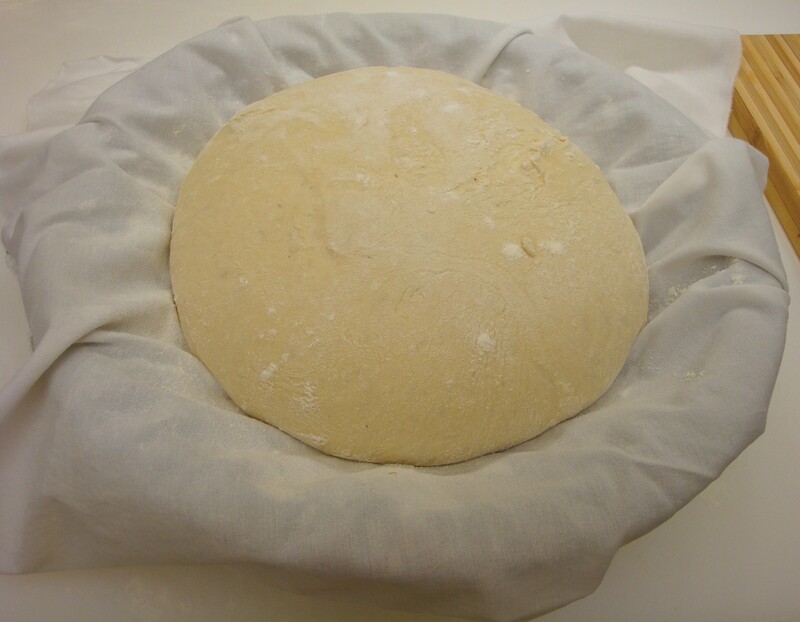 The banneton usually has a cloth liner to prevent the dough from sticking. Luckily, after a trip to my local “Savers” thrift store, I located a thickly woven basket, perfect for my recipe. Timing is everything! I made the sponge as directed, and let it sit overnight. The next morning it was nice and bubbly (sorry, forgot to take that photo!). 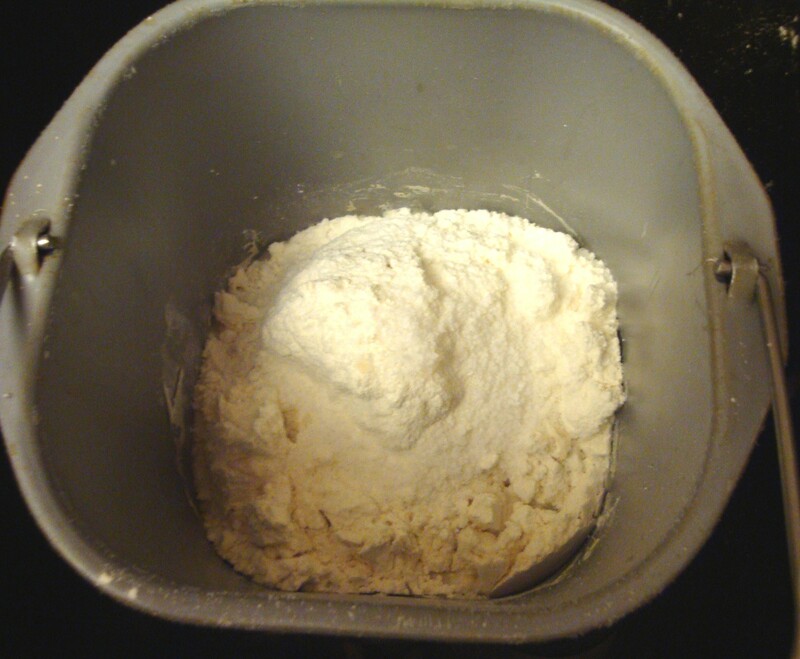 Proceeding to step two, I added the ingredients for the dough, to the sponge, still in the bread machine and set it for “dough normal”, which, in my machine is 1 hour and 28 minutes for the 1 and a half-pound setting. As the instructions note, if the bread has not tripled in bulk, let it sit for another hour in the bread machine, which I did, as the dough had only doubled in bulk after the initial dough cycle. 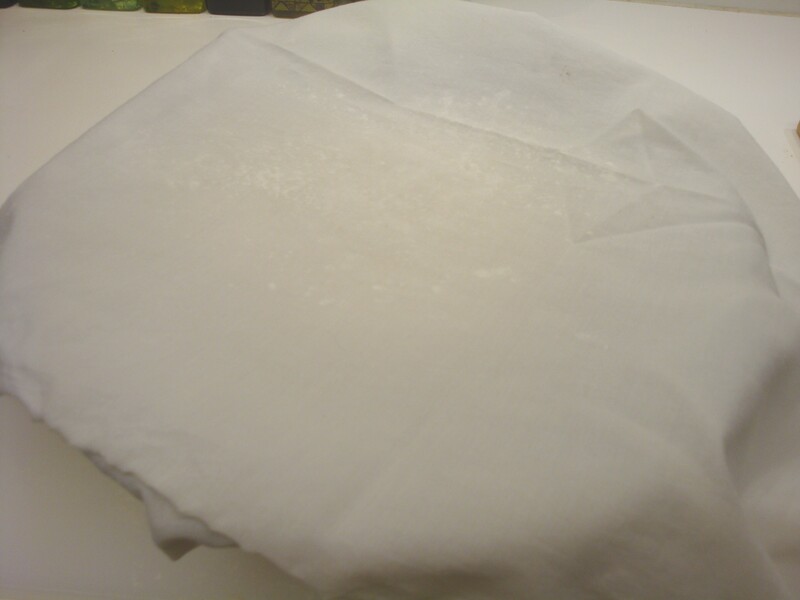 In the meantime, I used a portion of a clean white pillowcase, which I had sacrificed for the experiment, to line the banneton, with plenty of extra draped over the sides, to tuck over the dough, while proofing. 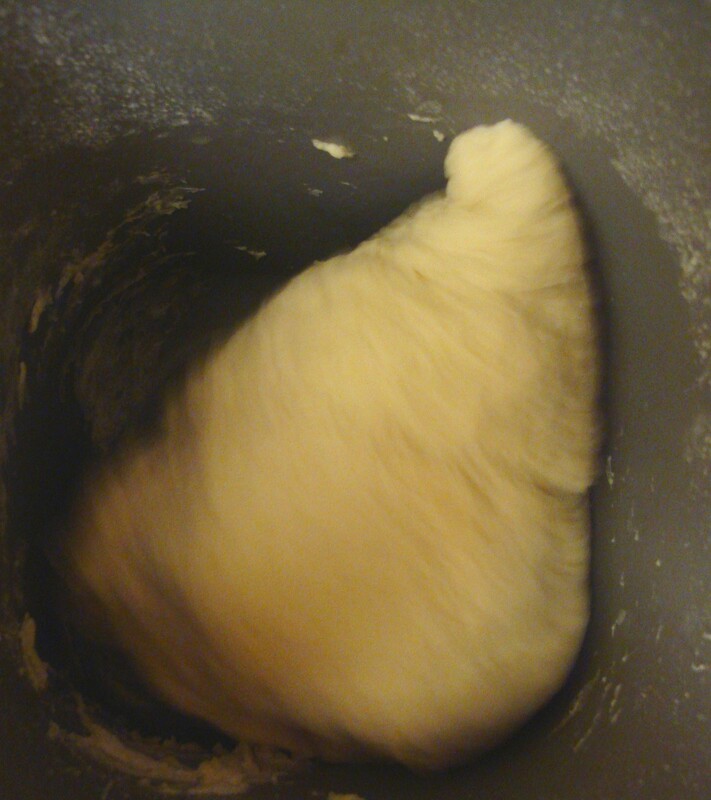 I floured the cloth and extricated the dough from the bread machine. Although the authors point out you should use damp hands to gently deflate the dough and form it into a circle, my dough was still pretty sticky and I had to dust my hands with a bit of flour to handle it successfully. With little manipulation, I formed it into a rough ball and placed it into the banneton. 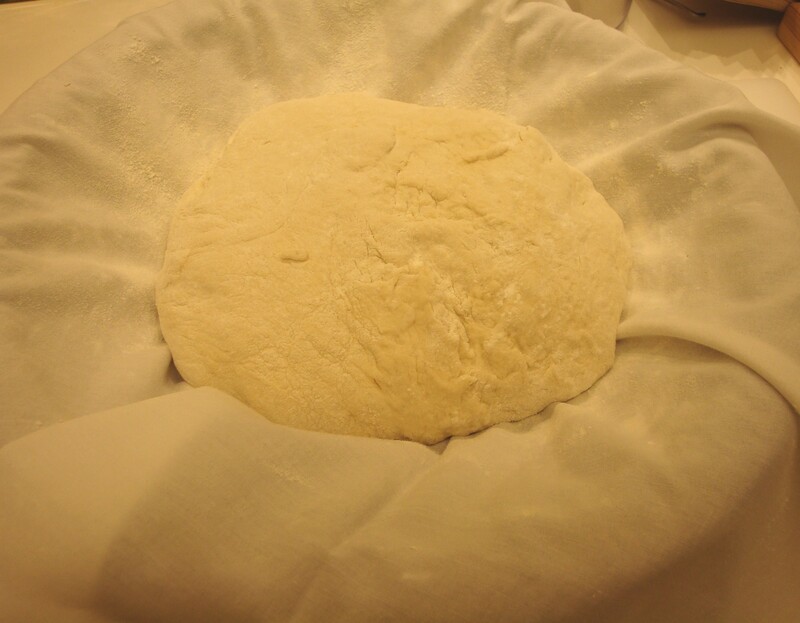 A little flour dusted on the extended pieces of the cloth was added and the cloth loosely placed on top of the dough for the next rise of 60 minutes. 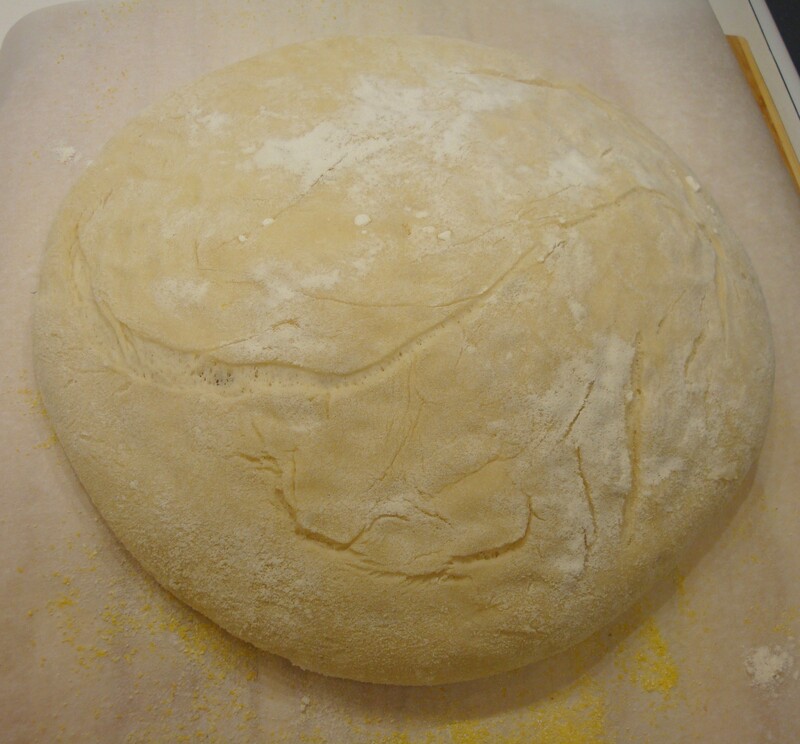 After 60 minutes, the dough appeared to be ready (a finger indention did not immediately disappear). I put my new pizza stone inside a cold oven and preheated it to 400 degrees. In the meantime, I followed the instructions by the authors to sprinkle cornmeal on a piece of parchment paper, which I placed on a pizza peel. 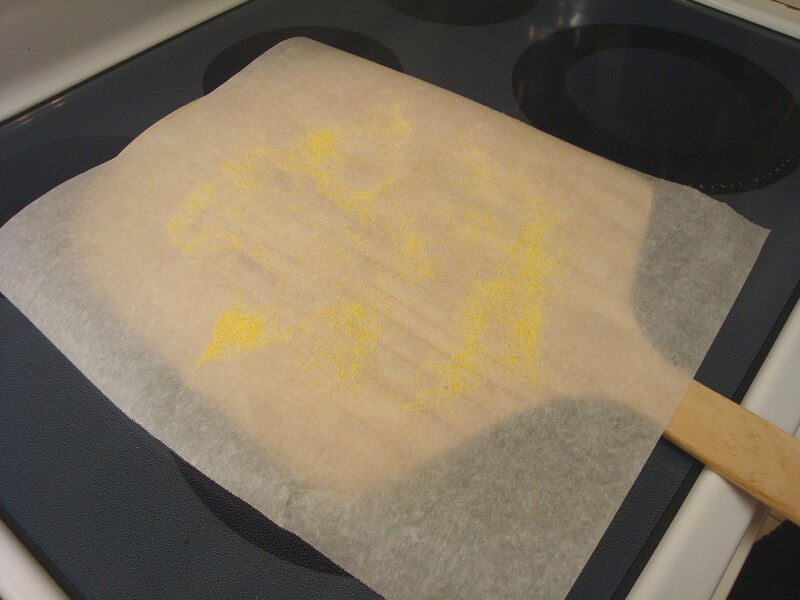 When the oven was ready, I gently turned the banneton upside down to dislodge the dough onto the parchment paper. So far, so good. However, in attempting to slip the parchment paper with the dough onto the pizza stone, the dough slipped off of the parchment paper directly onto the pizza stone, along with some cornmeal, so I decided to leave it. An hour at 400 degrees seemed like a long time for a loaf of bread to bake, and I kept checking it every fifteen minutes. After 50 minutes, I carefully removed it from the oven to test for the “hollow” thunk and it appeared to be ready, although not overly browned. After cooling on a wire rack, it was time for the taste test. 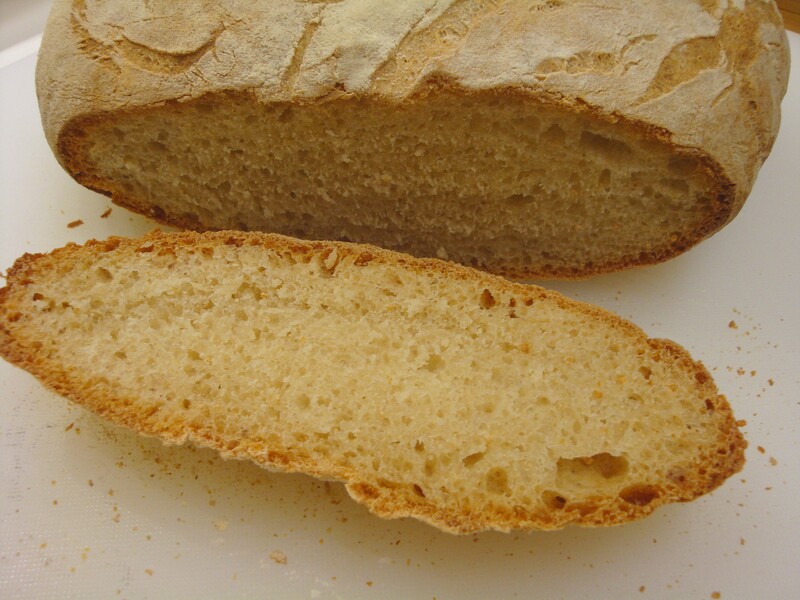 The crust was definitely chewy and fairly thick compared to some breads. The texture was appealing and the taste pleasant. This is very definitely a dense, chewy bread, but I was pleasantly surprised at my first effort. Ready to eat. Chewy, but tasty and certainly “rustic” looking! If I did it again, which I probably will, I’d probably leave the rise inside the banneton more than 60 minutes, perhaps 90, as the loaf did not rise as much as I had thought it might. All in all, though, the bread made for delightful BLT sandwiches last evening and good toast this morning. The nice thing about this bread is that there is very little “work” to making it, as the dough machine and time do the rest. 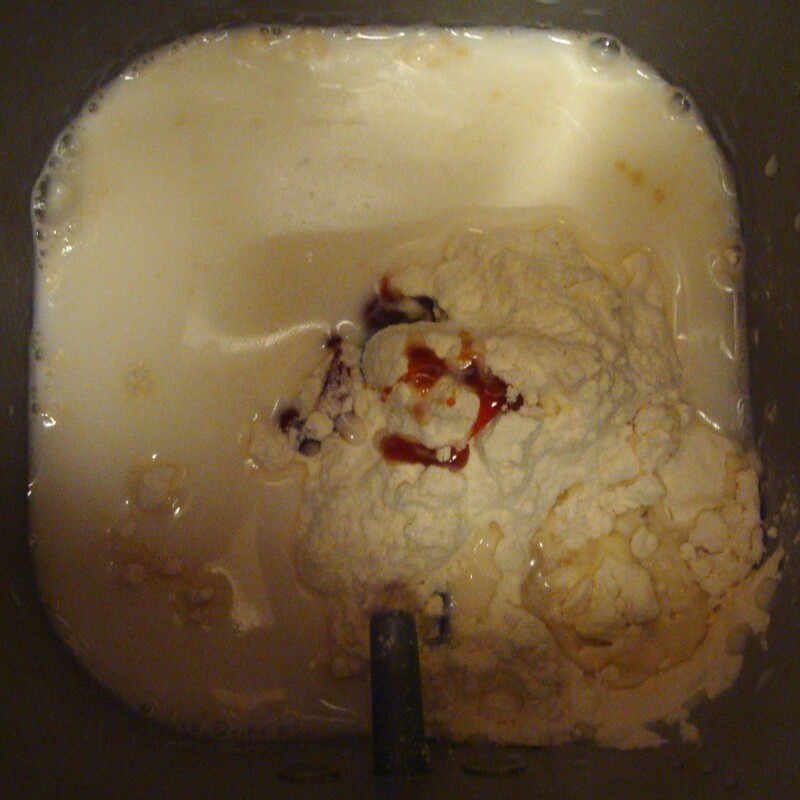 The only drawback, if you can call it that, is that the recipe calls for an addition of “malt syrup”, aka “barley malt syrup”, which I managed to find at my local store, “Vitamin Cottage/Natural Grocers”. I was unfamiliar with it. 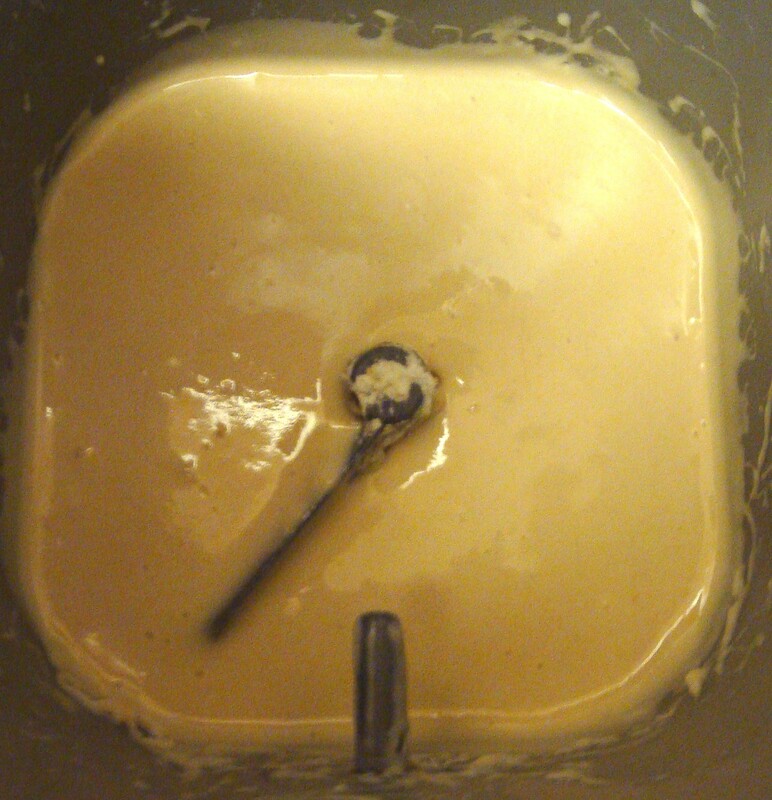 Unfortunately, I used ½ teaspoon from the only size jar that was available, which is 20 ounces! However, the jar label indicates that the syrup can be substituted for honey and molasses, so all is not lost. 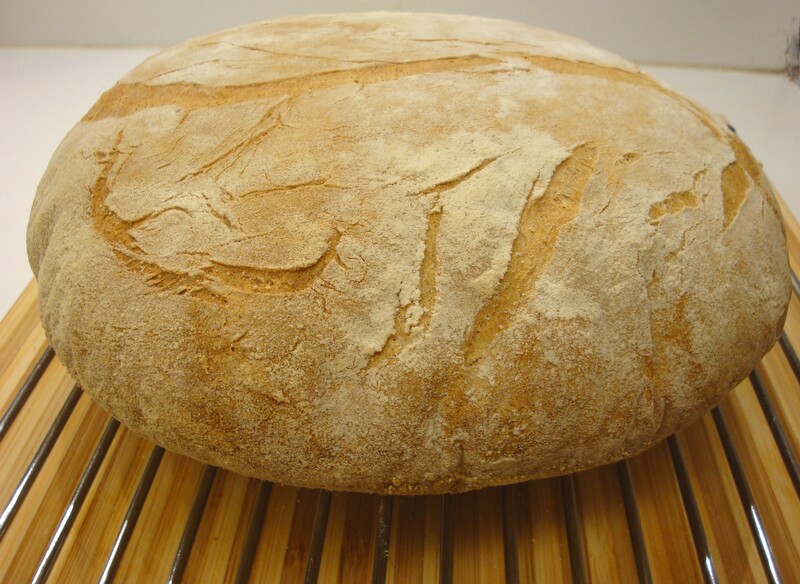 This entry was posted in Cookbooks, Cooking, Cooking Technology, Eating, Fermentation, Recipes, Uncategorized and tagged Banneton, Bread Machine, cookbooks, Cooking, French Bread, French Cooking, Rustic European Breads, Sue Jimenez. Bookmark the permalink.